Some of us do go through an interesting beauty regime from day to day, and during the weekends, we have an appointment to perform a manicure or pedicure, all ready and refreshed to meet yet another week’s challenges down the road. Facials are also an important aspect of any beauty regime, but what if you could save both time and money by getting your facial done at home? 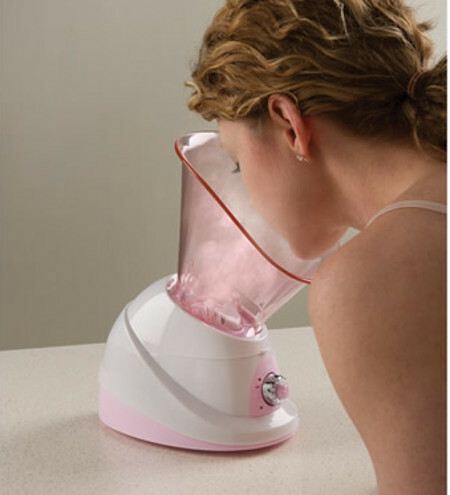 This is what the $79.95 Hot/Cold Facial Sauna intends to deliver with each purchase. The Hot/Cold Facial Sauna happens to be a facial sauna which will help open up the pores on your face with warm mist that cleanses and closes them with cool mist that hydrates. It would be the ideal tool for rejuvenating and refreshing your skin, defending against dryness, and counteracting signs of aging, as the sauna generates nano-sized steam particles that are roughly 1/4,000 the size of typical water molecules in just three minutes. The warm mist will be able to penetrate deep into pores so that it can soften dead skin cells and dissolve dirt, oil, and cosmetics, resulting in soft and smooth skin. Not only that, cool mist will help close the pores to refresh skin, help defend against dryness, and prepare it for the application of your preferred moisturizing products. You will be able to rely on its built-in timer that delivers 3-, 6-, 9, 12-, and 15-minute sessions; whereby it will then shut off automatically afterwards.